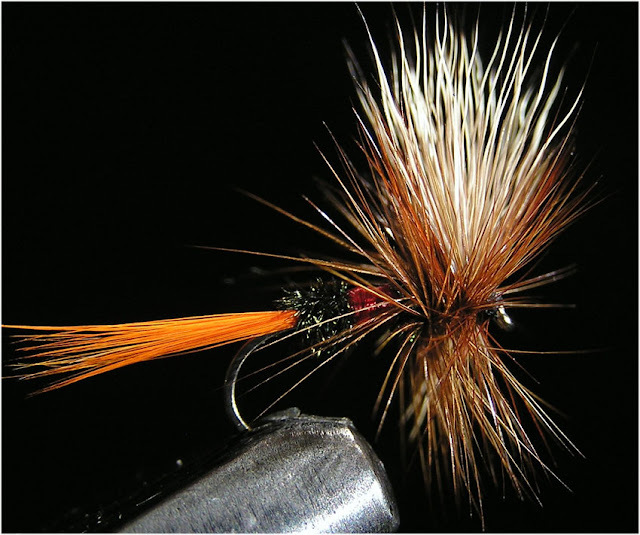 Chavanga Fish Blog: Salmon fishing, dry fly methods. New version. In this publication I add some notes from FFF " Non traditional methods" thread. This autumn there was successful way of salmon fishing at the water surface. The Chavanga river water level was low, and fish hid in holes between stones on river main current. It did not react to usual provocative salmon flies, despite that we have reduced their size till 12-14 number. Probably, in crystal-clear water fish perfectly saw all lacks of an artificial bait. Fly deduction in one place, its acceleration upwards against the current or movement across did not interest a salmon. But we have found a way. In places where in the tideway of the river there were many large stones, there was effective a way of provocation of a salmon on becoming wet dry fly. The fly of type CDC sedge after wet remains in a superficial film of water. At a stop of its drift over parking of fish, the fly forms a small hillock of water directly at surfaces. This easy wave is well visible to the fisher and it is possible to supervise fly`s movement. At the moment of a stop of a fly and hillock occurrence on a surface fish rose from shelter more often and attacked. The cast distance and presentation did not exceed 5-7 meters. Among stones it was possible to approach imperceptibly and to fish carefully all possible shelters. There was a problem of nylon strength. The salmon ignored thick tippets also, as well as the big flies. It was necessary to apply fluoro-tippets 0.20-0.22 in diameter. Diameter of 0.25 has seemed already too rough and appreciable in water. We have lost a part of large fishes, as it is very difficult to land such fish among stones. To such flies I have not noticed any color preferences. Probably, the fact of appearance of a hillock on a water surface was the main thing. Some experiments seem deprived of practical sense, simply absurd. I about catching of a salmon by small dry flies. If it was a question about bombers and provokers similar to them then it would be not necessary to mention it. Interest of a salmon to objects on a surface - history old and peculiar not only to the rivers of the north Kola. The same curiosity is shown by a salmon everywhere to the most different subjects dragged at a surface. Bomber it is only known variant of a superficial bait. Metal lures are resultive on a surface too. Silverleapers, Thanks for this nice material! Therefore not ploughing bait which effect is almost natural, and persistence of catching on a usual drifting fly is curious. With salmons attacks on dry I considered episodes of last years casual, and did not try to give to them any ordered kind. I and now cannot systematise somehow fishing of a salmon on a dry fly. 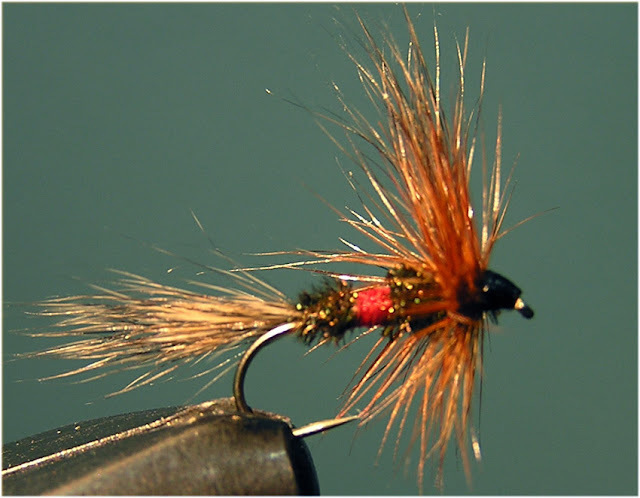 The provocation element in small caddis, for example, is doubtful enough in my opinion. Not aggression, and curiosity or elements of food interest can be motive. Anyway fish pecked on usual grayling preparations. 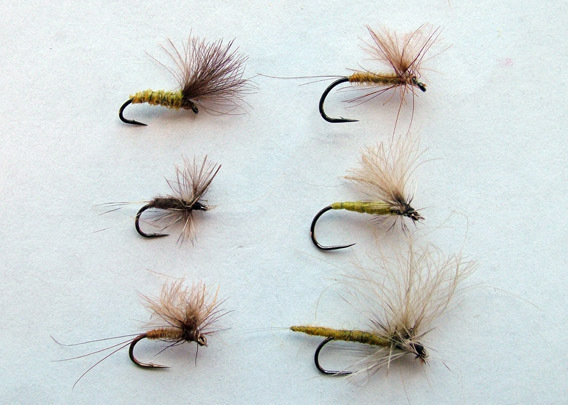 I remember simple deer hair caddis fly on barbless hook of 10-12 sizes, in it there was nothing special. Variants "dry" the technician, thus, happen are effective enough, though are engaged in them in almost exclusively summer. It is considered to be that at this time the salmon loves leaves to a surface. 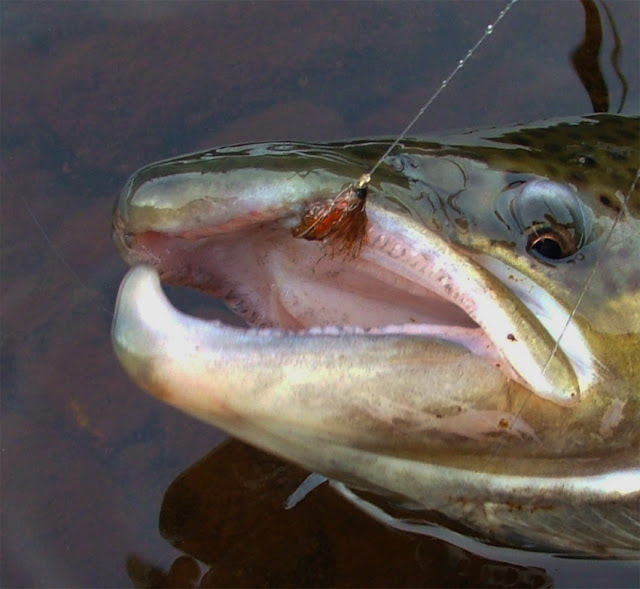 But activity of a salmon decreases in warm water, it reacts to standard baits is worse. Then, we think that business is simple in a low water level, and to catch there, where more small, on plums before rifts, on an example more correctly. But the salmon rises to a fly and on deep places, and not only in the summer, and so on. Uneasy to find sense in reaction of fishes to a dry fly. Probably, matter is not in fish, and that in the summer we are simply more inclined to reconstruct a fishing tackle on an easy harmony to indulge trout and grayling, and at the same time and to experiment with a salmon. My son has told to me about this case . For one of days there was a hutch off small mayflies. Everywhere were visible traces of graylings which attacked emerging nymphs and insects on a water surface. 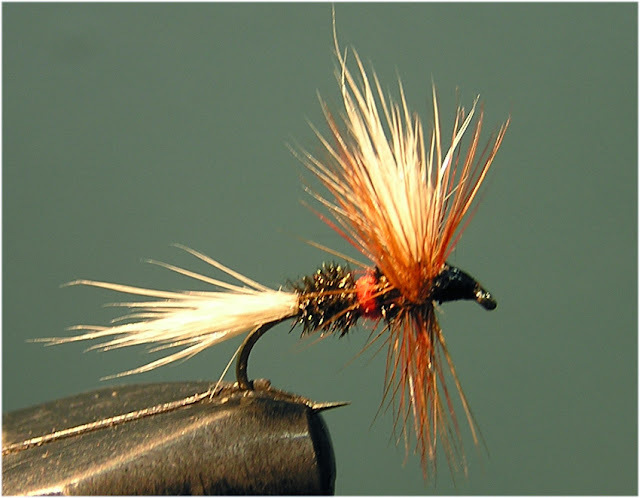 We have found suitable flies, I was fishing wet variants, the son caught on dryfly . In this place water moved from coastal stones in a direction to the river centre. The majority of graylings attacked flies when they moved in the same direction, from coast to the centre. We tried to simulate both an insect and its natural movement. It was interesting that here on depth of 1/2 metre a CDC may fly #18 was attacked by silver salmon. After short struggle salmon has break a tippet and has left. In my opinion, in a fishing technique was very little provocative, we fished and tried to imitate as much as possible to present real insects. Another story by ispy 968 : I have caught salmon in Ireland on dry Mayfly on the rivers in June in Low water conditions with bright sunshine, it seems to work better if there is an upstream breeze to put a small wave on the water. I was told by an old ghillie that the wave puts more oxygen into the water which switches the fish on and makes them active. I have also used a dry Royal Wulff on a size 1 low water iron to get King Salmon in Alaska, very interesting to watch them rise very slowly from maybe 5' 6' down to inspect the fly closely before taking. 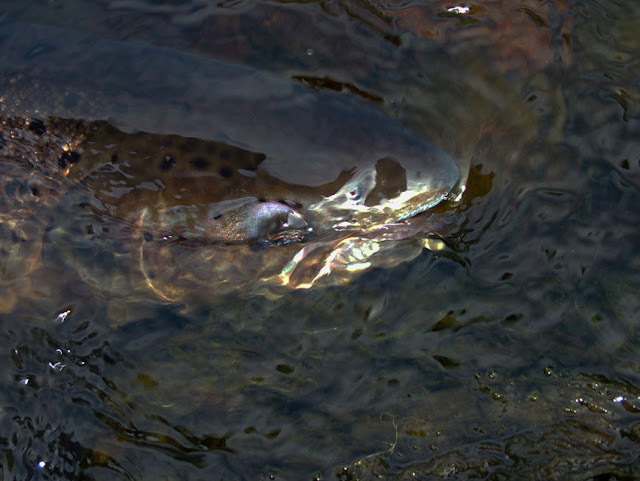 Colbeinn`s story: This is very frustrating scially when large shoals of salmon are lying in the pool in the gin clear river and are just not taking. The usual method here in Iceland is to start with a very long leader and a micro fly and stand very far away from the pool in order not to be seen. This often gives results but I would like to mention one method that works very well in situations like mentioned above. Last summer I was fishing Hrutafjardara a small river on the northern side of Iceland. The pool was packed with salmon and the temperature of the river was well above 16° . After casting every available fly in my box and trying all sort of different methods I remembered one advice I once heard. That is to fish the pool upstream. The salmon is in a way lazy as the hot water in the river takes out all spirit from the fish. 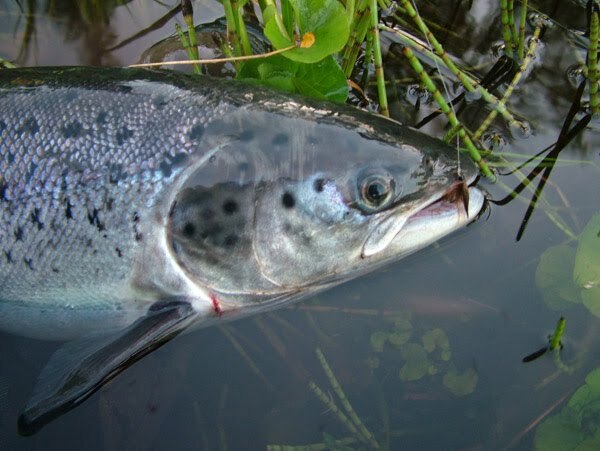 The lower water levels also means that the salmon lies much closer to the surface and can therefore spot the angler much easier as the angle of its vision is much wider than in normal situations. 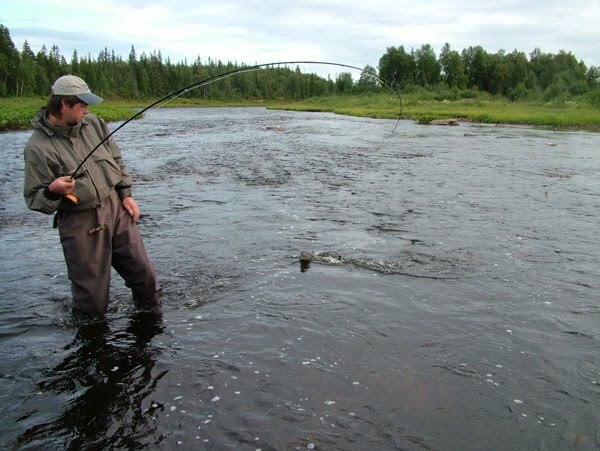 Therefore you fish it like trout upstream, that is you stand well below the pool and cast the fly and make sure to strip the line as the fly comes drifting down the pool . 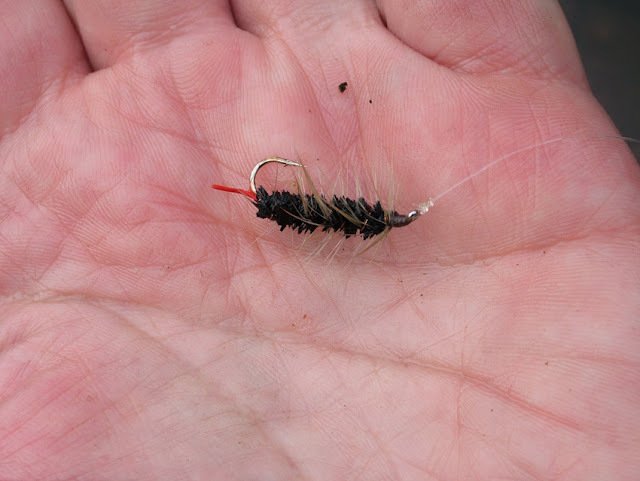 By applying this method I managed to hook two salmon last summer after have tried every fly in my box with different methods, stripping, hitching and so on.